Turn online visitors into PAYING CUSTOMERS!You've gone through all steps of developing a powerful business presence on the Web--but it's only the first step. Now, you have to make sure your visitors hit the "Purchase" button . . . before they start clicking through to your competitor's site. 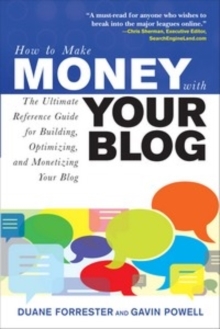 From Duane Forrester, a leading expert in Search Engine Optimization and the author of the popular How to Make Money With Your Blog, comes a highly practical guide for using all the online tools available for turning curious visitors into paying customers. 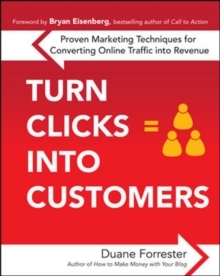 Turn Clicks into Customers reveals proven techniques for not only standing out in a crowded marketplace but for reaching customers who are most eager to buy your products or services. Forrester explains what works and what doesn't for multiple online marketing strategies, including: E-mailOnline searchesInternet advertisingWebinarsVideosSocial networking You'll learn best practices for each strategy at both a local and global level to reach more paying customers than ever before. Plus, you'll get interviews with global experts who reveal proven tactics they've used to successfully turn Clicks into Customers.